It is a type of personal loan provided by the lenders for a short-term. Instant loans are quick and include minimum documentation. While the traditional loans are lengthy and time-consuming, these loans are quick and can be used for emergency purposes. People also apply for a personal loan to buy a large asset, for travel expenses, for a wedding, debt consolidation, balance transfer, top up, home repair expenses and so on. What are the benefits of Instant loans? • The application process is fast and the loan can get approved on the same day of application. • It is convenient to take a loan via easy loan app, as the app is available to access 24/7. 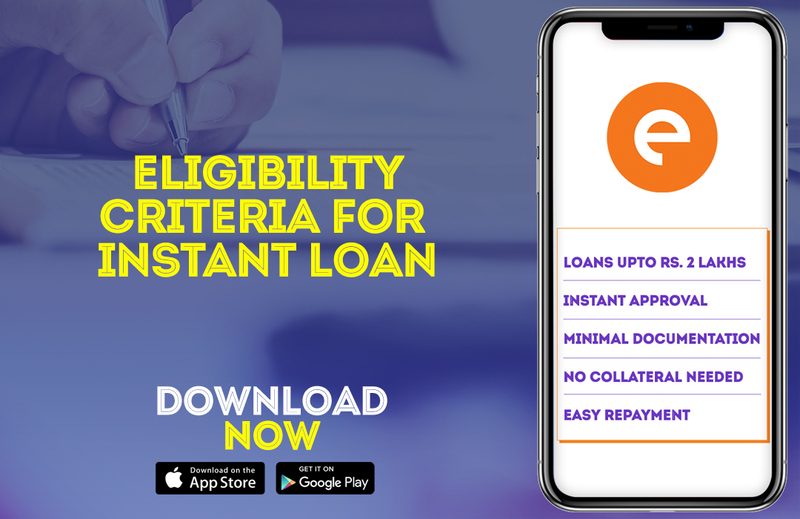 What is the Eligibility to apply on an easy loan app? Once you enter the app, you can see your loan eligibility. • You have to be a salaried employee with a registered company. The documents required by easy loan app are quite simple. You need to submit your identity, address and income proof documents. For identity proof, you can submit passport or aadhar card or pan card or driver’s license. As address proof, you can submit a passport or rental agreement or utility bills. You have to submit bank statements and salary slips for 3 to 6 months to avail an instant loan. Download the instant loan app on your smartphone. Once you download the app, register yourself by entering your basic details like name, number, address, and bank details. The next step is to enter the loan information like loan amount and the duration. You can take an instant loan starting from ₹10,000 to ₹1 or 2 lakhs. The duration can be 15, 30 or 90 days. You have to submit your documents online to the easy loan app. Once you upload all the details and documents, the app will then review your request. Once your request is approved, the money loan is then transferred to your personal savings account. You can repay the easy loan app via bank transfer or by depositing a cheque. The app will send you alerts before your due date. The interest rates are quite low compared to the traditional institutes as these loans are for short-term. The interest rates start at 2.5%.